UNITED NATIONS, New York/Ouagadougou, BURKINA FASO – Fourteen-year-old Latifatou Compaoré learned the spirit of resistance from her mother. Her mother was subjected to female genital mutilation (FGM) as a child in Burkina Faso. “She told me that one of the girls who had been cut the same day as her had experienced serious problems and died following a haemorrhage that no one had taken care of,” Latty explained. FGM can cause a raft of serious health consequences, including not only haemorrhage but also shock, infection and complications in childbirth. Yet the practice is widespread around the world. An estimated 200 million women and girls alive today have been subjected to the practice. Some 3.9 million girls were subjected to FGM in 2015 alone. And if FGM continues at current levels, 68 million girls will be cut between 2015 and 2030. But brave women and girls are taking a stand against FGM, sometimes risking stigma and rejection by their families and communities. Latty’s mother was one of these courageous women. Latty was 10 years old when she heard her mother’s account. “This story really shocked me,” she said. She decided to become an advocate for ending the practice. A talented singer, Latty recorded a song about it, called “Excision,” which garnered attention throughout the country, even getting air time on national television and radio stations. Latty has since recorded two more songs about ending the practice. On a Facebook page she created about eliminating FGM, her videos have been viewed hundreds of thousands of times. But she has also faced backlash. “There are some who congratulate me and encourage me to go forward, but there are others who bother me a lot,” she said. The opposition does not discourage her, though. “It is a cause that I will defend throughout my life,” Latty said. Around the world, thousands of courageous girls like Latty are calling for the elimination of FGM in their families and communities. In Kenya, 17-year-old Sharleen Cherop also said no to FGM. She managed to escape both FGM and child marriage – which are linked in some places, with one practice considered a precursor to the other. "My family wanted me to be cut and get married, but I refused,” Sharleen said. She ran away from home and found support and safety at a nearby school. She is now an advocate for children’s rights. In Egypt, FGM is widespread. More than 90 per cent of women have undergone the practice, according to a 2014 survey. The UNFPA-UNICEF Joint Programme to Eliminate Female Genital Mutilation works with local partners and communities to raise awareness about the harms caused by FGM. In Ethiopia, 18-year-old Sofia Hussen experienced both FGM and child marriage. 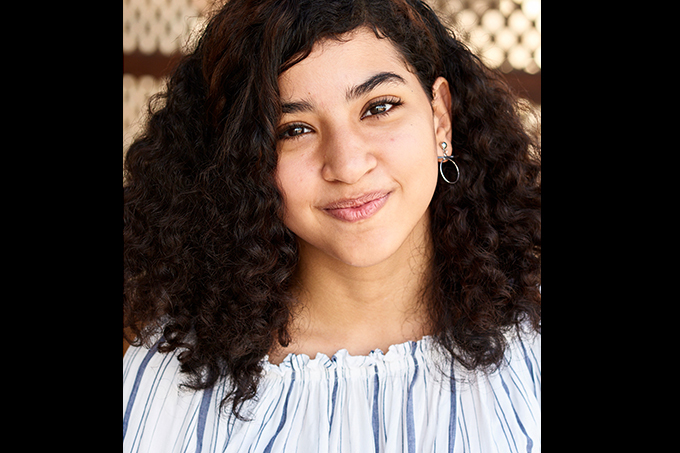 She learned about the harms of both practices from a UNFPA-supported adolescent girls group, and today she uses her own story to call for change. “I am a living example,” she said of her work. Latty, too, has seen real change in her community. “A little while ago, a friend of my mother came into our yard with her 2-year-old daughter. She said that family members were insisting on cutting the little one,” Latty recalled. She spoke to the woman at length, explaining the consequences of FGM. “She ended up promising us that she would not cut her,” Latty said. To date, the girl has not been cut, she added.